Macomb County Department of Roads has selected HNTB to serve as the Owner's Representative for Innovate Mound, a program estimated at over $200 million that will reconstruct and modernize nine miles of Mound Road. Located between I-696 and Hall Road (M-59), the Innovate Mound corridor is anchored by the automotive and defense industries, hosts more than 47,000 jobs and generates an incredible $8.7 billion in annual economic impact. Modernize and renew infrastructure, such as pavement, bridges, signals, signing, storm sewers and lighting; utility and municipal partners also will have an opportunity to renew their water lines, sewers, electric and gas facilities. Improve congestion and safety through technology and smart access management. Create a national model for renewing infrastructure flexibly to accommodate the future of mobility. As the Owner's Representative, HNTB will work with Macomb County to develop and oversee the implementation of project upgrades. This includes coordinating with environmental, engineering, design and construction teams, monitoring budgets, as well as overseeing quality and grant compliance. "The scope and magnitude of this project is like none other in the region or state.  When complete, it will be a shining example of what happens when multiple levels of government work together to address an issue," said Macomb County Executive Mark A. Hackel. "As work gets underway, we are committed to providing ongoing communication to keep people informed about progress." "It's exciting for Sterling Heights to partner on a project that will be such a significant improvement to the citizens and businesses within and around our community," said Mayor Michael C. Taylor. "The state-of-the-art and transformative roadway that Mound Road will ultimately become will be a representation of Sterling Heights, Warren, and Macomb County." "Many months ago, representatives from the Warren, Sterling Heights, and the Macomb County Department of Roads met to discuss the failing condition and the future needs of Mound Road," said Warren City Engineer James Van Havermaat. "Now with the hiring of HNTB to oversee the project, what was once an obscure distant vision is nearing commencement and transforming into reality." "We are excited about the opportunity to work on such a transformational project," said Eric Morris, Vice President and Michigan Office Leader for HNTB. "Renewing the infrastructure along Mound Road is an urgent need, but the unique partnership between public agencies and private industry is what will drive success. We're excited to work under Macomb County's leadership to develop a state of the art facility that builds off the innovation happening within the corridor every day." HNTB Corporation is a national, employee-owned infrastructure firm serving public and private owners and contractors. In Michigan, HNTB employs over 100 transportation professionals in Grand Rapids, Lansing, Jackson, and Detroit. HNTB's newest office location in Sterling Heights will open in May, 2019. With 105 years of service in the United States, HNTB understands the life cycle of infrastructure and addresses clients' most complex technical, financial and operational challenges. Professionals nationwide deliver a full range of infrastructure-related services, including award-winning planning, design, and program and construction management. For more information, visit www.hntb.com. More information about Innovate Mound can be viewed at www.innovatemound.org.